Our catering services for offices includes arrangements for beverages, snacks and light / heavy lunch or dinner, as desired by clients. We expertise in offering different kind of cuisine such as North Indian, South Indian, Pure-Vegetarian, Chinese etc., which are prepared under most hygienic conditions. 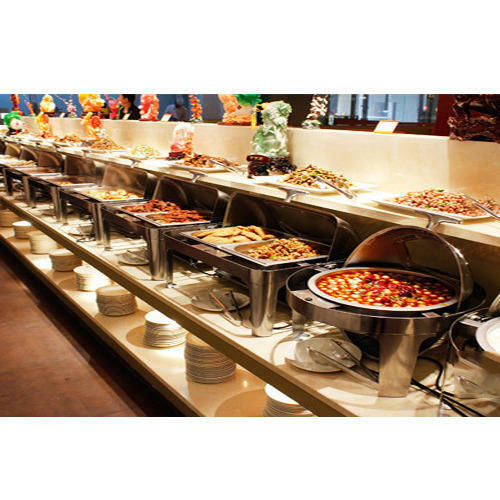 Our catering services offer clients sumptuous delicacies as per their choice. Services are available at industry leading prices and on decided terms including timing, menu, costWe have complete allegiance in providing highly demanded Wedding Catering. We take consideration of the market trends, ongoing season and clients’ preferences to rendering services for special events. Our expertise lies in preparing and serving specialty cuisines along with innovative drinks and beverages and tasty appetizers. Further, the widely demanded services are attainable at a leading price. Established in the year 2003, we Masters Caterer are a service provider of Parties Catering Services, Events Catering Services, Wedding Catering Service. From our beginning, we endeavor hard to provide our esteemed clients with complete satisfaction by rendering services as per their specific requirements. These services are rendered by our expert team members in accordance with the industry standards following proper steps to ensure a hassle-free execution. These services are rendered in various specifications and are extensively acclaimed for their affordable rates, promptness and effectiveness.